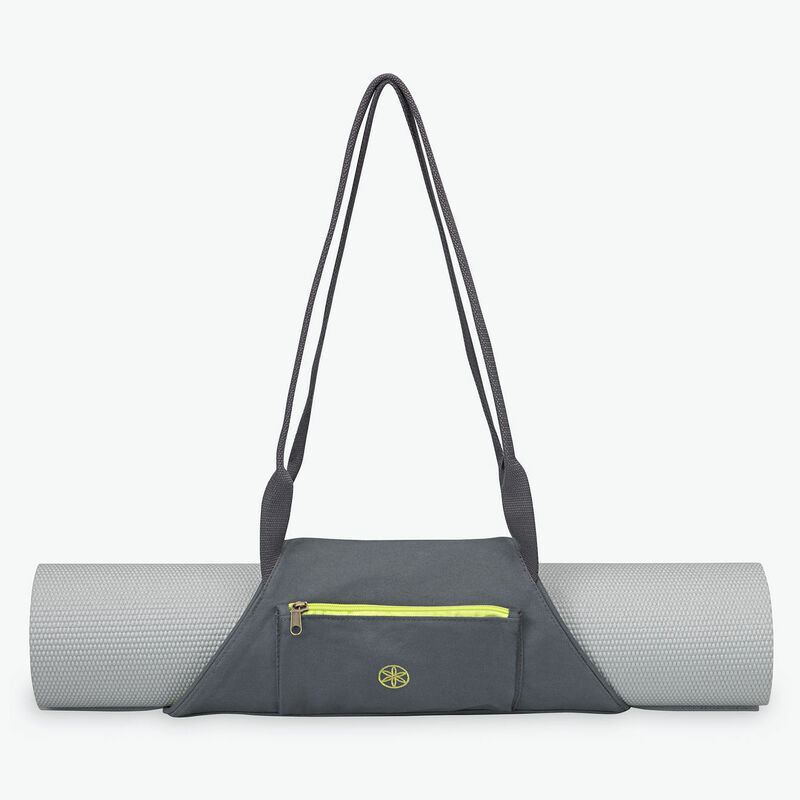 This simplistic mat bag allows you to carry your mat with ease and features two thin shoulder straps, an exterior expandable zipper pocket, and room to fit most mat sizes. Material: 100% cotton with a 100% polyester lining. Care Instructions: Wash in the gentle cycle with cold water. Lay flat to dry.